This memories guest book is manufactured by East of India and is the perfect way to review messages or photos from special occasions. This beautiful memories guest album is a lovely covered guest album with a quote on it. The quote on the front of the album says 'memories, these are a few of my favourite things. 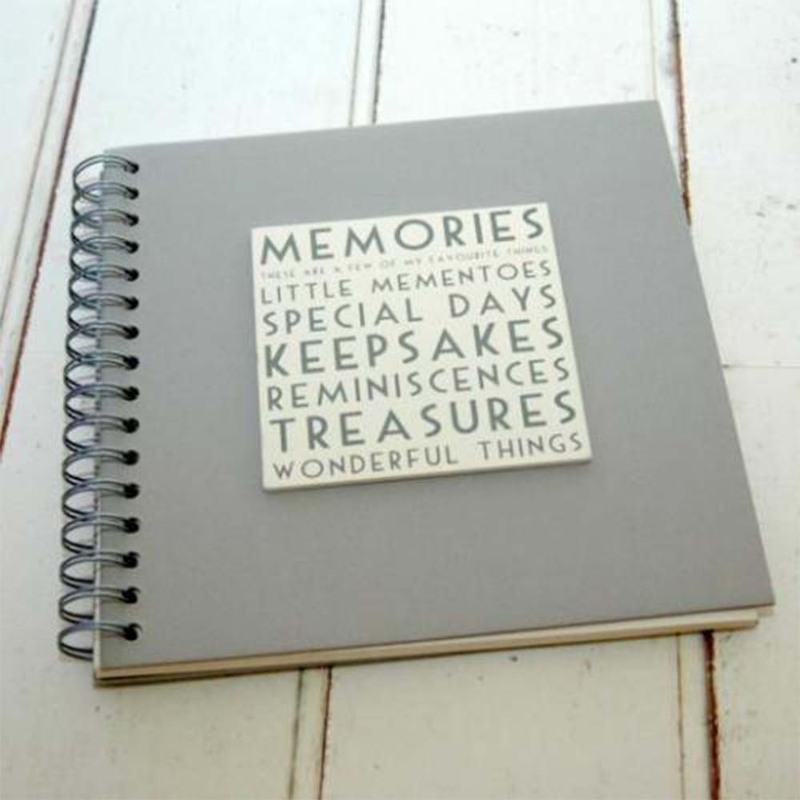 Little mementoes, special days, keepsakes, reminiscences, treasures and wonderful things'. This is a lovely album that is perfect to read messages or see photos from a special occasion.